ONE OWNER! FACTORY WARRANTY! REAR BUCKET SEATS! 7 PASSENGER SEATING! PANO ROOF! POWER SEAT! TOUCH SCREEN STEREO! NEW TIRES! PREMIUM WHEELS AND MUCH MORE! We offer excellent financing plans and accept all trades including cars, vans, trucks, motorcycles, four wheelers, travel trailers, utility vehicles and much more. Every vehicle is put through a rigorous certified mechanical check. We also offer great service agreements to protect your investment. It will not last long. Call Mark or George today! Just another great value for your money. 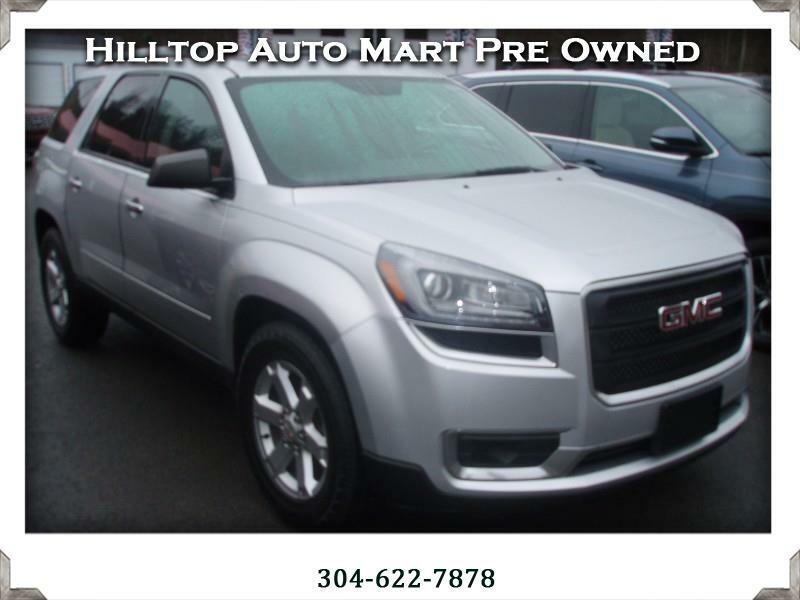 Hilltop Auto Mart is here to provide you with hand picked vehicles and no hassle customer service. We believe that straight talk and quality vehicles are what you are looking for. Every vehicle sold by Hilltop Auto Mart has a Carfax guarantee and low miles. We have over 50 years combined experience in the auto industry. We take pride in our quality and honesty. We cater to all out of state buyers by offering transportation to our dealership from Pittsburgh or Charleston airports. We make the buying process as smooth as possible, selling cars the way cars should be sold. Call Mark or George today.